This position is located in Augusta, GA. Successful candidates must live locally or within a reasonable commuting distance. The East Central Health District is the lead agency entrusted by the people of the state of Georgia with the ultimate responsibility for the health of communities and the entire population. The agency is seeking a highly qualified candidate for the position of Administrative Assistant 2. Two positions are available – one is full-time with benefits, the other is 20 hrs per week. In addition to a competitive salary, the full-time position offers a generous benefits package that includes a flexible schedule, employee retirement plan, 12 paid holidays, 401K, vacation & sick leave, dental, vision, long term care, and life insurance. Under general supervision, performs a variety of general secretarial, clerical, and administrative support functions/processes or a few specialized or essential clerical functions in support of a unit or office and related personnel. May enter data and/or process documents and records. The work includes operating standard office equipment. Work is performed under the general supervision of a clerical or administrative supervisor. High School diploma or GED AND Two years of general office or administrative experience. Georgia Department of Public Health Commissioner and leaders encourages all employees to engage in regular wellness activities and to make lifestyle choices that promote health and well-being. The use of wellness breaks during the workday is authorized to support this philosophy and assist employees in meeting their wellness goals. A maximum of 30 minutes in a given workday may be used to engage in wellness activities, generally in the form of two 15-minute breaks or one 30-minute break. Current State employees are subject to State Personnel Board rules regarding salary. DPH accepts educational credential recognized by the Council for Higher Education Accreditation (CHEA) and/or the US Department of Education (DOE) will be considered. DPH will contact educational institutions to verify degree, diploma, licensure, etc. The candidate selected for this position may be subject to pre-employment drug screening and a criminal background check. 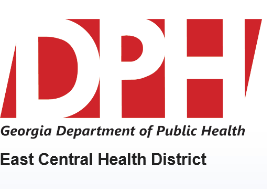 As an employee of DPH, in the event of an identified emergency you may be required, as a term and condition of employment, to assist in meeting the emergency responsibilities of the department. If you require accommodations under the American Disability Act (ADA), email request by the closing date of this announcement to: DPH-HR@dph.ga.gov. Due to the volume of applications received, we are unable to provide information on application status by phone or e-mail. All qualified applicants will be considered, but may not necessarily receive an interview. Selected applicants will be contacted by the hiring agency for next steps in the selection process. Applicants who are not selected will not receive notification. This position is subject to close at any time once a satisfactory applicant pool has been identified. 2 Peachtree StreetAtlanta, Georgia, 30303.